It must have rained overnight. When I woke up this morning I could hear the swish of tires outside my window as people made their way to work, or to drop their kids off at the school bus stop, or to catch a quick cup of coffee and some gossip at the neighborhood coffee pub. 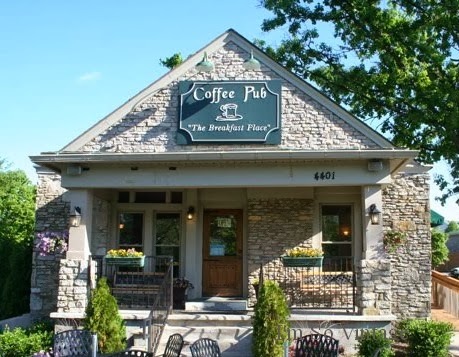 The Coffee Pub in summer. I think about the randomness of life. about how people come in and out of our lives and what each of them means. Some stay for a lifetime, while others may be just someone you steal a glance of at a traffic stop. Each one is somehow woven into our lives for a reason. 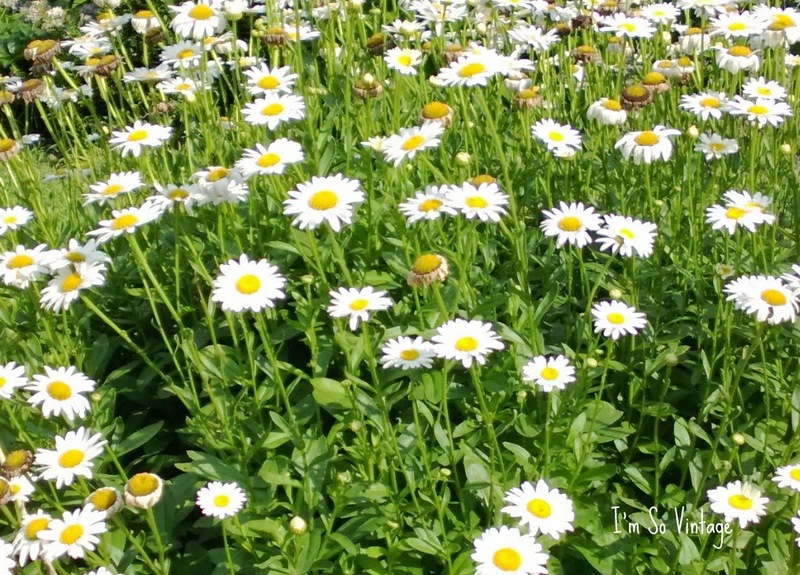 Just like a field of daisies, we're planted and grow among other daisies. Each one unique. Each one an individual among all the other daisies. Some wither and die early, while others reach for the sun and rain and grow from the nourishment. As humans, we most often seek the company of our fellow humans. We thrive from the contact. The hugs. The smiles. The words of encouragement. But, there are also those times when we crave solitude. The peace and quiet of being alone. Enjoying our thoughts. Listening to the sounds around us. Reading. Thinking of the present. Planning our future. 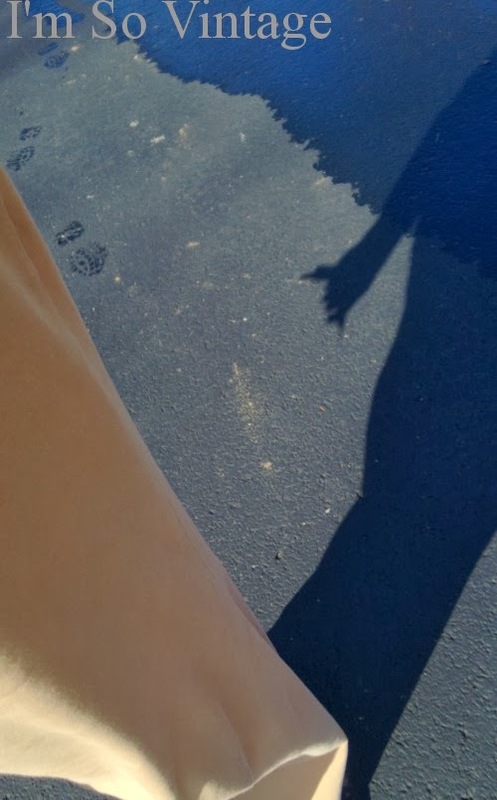 Sometimes for me it is just enough to be in the company of my shadow. As I wake up to a new day and listen to the swish of tires I wonder what the day will bring. Will I have contact with any of those people who pass by my window so early in the morning? Who will I meet on my journey today? Will they be someone who just flashes me a smile or will they become a long time presence in my life? Waking up to the sound of rain sounds lovely. I like to be alone some days too - the quiet is calming. You have the gift of writing wonderfully.What a beautiful perfect post.I was enchanted by the God given gift You have. Life is very random and it does make it interesting doesn't it! Great post Laura. No question about it, life is random and full of surprises! Have a great rest of the week! may your day be a good one. I love your random posts because they make me pause to think about things. A beautiful post. Love reading your thoughts. You are so right! I love days when I don't have anything planned and can just see where the day takes me. It's nice to be open to the possibilities.